SummerFest, La Jolla’s world-class music festival, presents many different faces for loyal audiences—including for some attendees who may visit only for a time or two each August. Just this past week there was a brilliant program of traditional chamber music–Stravinsky, Mendelssohn and Rachmaninoff. Then there was an evening of avant-garde work, from the experimental troupe FLUX Quartet, which included a world premier of a 12-minute piece from local and internationally recognized percussionist/composer Rand Steiger. Friday night was devoted to new and old compositions from around the world. But for lovers of contemporary American music nothing could exceed “Late Night with Leonard Bernstein,” which delighted and, even thrilled, a packed house at UC San Diego’s Prebys Concert Hall on Wednesday. Packaged and adapted for SummerFest, those in attendance will not forget this delicious evening, narrated by Nina Bernstein Simmons, daughter of by the late great American composer. Introduced to festival audiences, on this evening of wonderful nostalgia, was a New York-based amazing soprano, Amy Burton, whose renditions accompanied by veteran pianists John Musto and Michael Boriskin, were compelling, entertaining and at the highest level of cabaret performance. 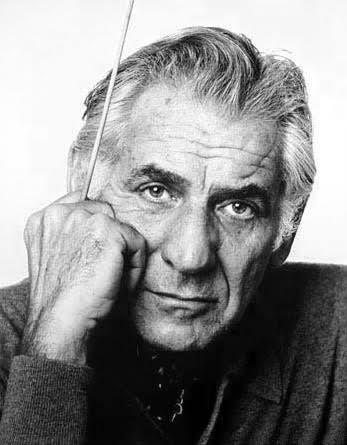 The program, coming on the 100th Anniversary of the composer’s birth, also included important Bernstein collaborations with composers Aaron Copland and Noel Coward. The evening featured along with numerous insights into Bernstein’s life, many excerpts from his compositions and arrangements. SummerFest will finish off this great week, another in the last of 18 years under Music Director Cho-Liang “Jimmy” Lin, with the annual Gala on Saturday night—an event obviously important for fund-raising purposes. 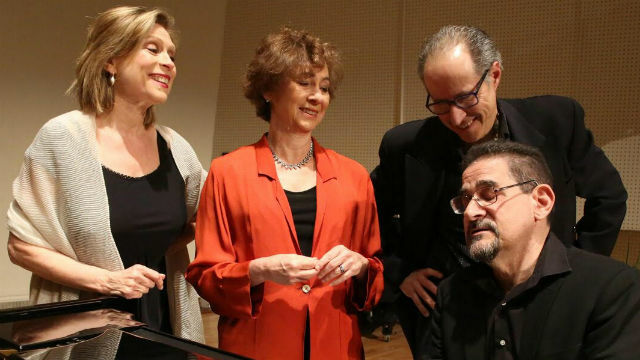 Patrons there will have a chance to hear Lin and others playing chamber music from Rossini and Schubert in the intimate setting of the home of UCSD Chancellor Pradeep Khosla. Named the Audrey Geisel University House, this home and entertainment space honors the spouse of a great author—the late Dr. Seuss, whose real name was Theodor Geisel. This fundraising effort is particularly timely as starting next April, in the heart of La Jolla Village, “The Conrad,” will be the new venue for SummerFest. Also next summer the Festival will introduce a promising new Music Director, the star pianist Inon Barnatan. Casual walkers in the lovely village of La Jolla can discover seven old painted pianos placed around to remind everyone that attendance (and contributions) are welcome. One can sit down for a cup of coffee at numerous spots and see young kids—and sometimes their parents—banging away, getting a taste of musical culture brought to the community by the parent organization of SummerFest, the La Jolla Music Society. SummerFest is already sponsored by some of San Diego’s most charitable philanthropists, as well as the City of San Diego and numerous sources of public and private funding. Upcoming concerts include one titled “My Favorite Playlist,” curated by Lin. And there will be evenings with Gil Shaham, music from Brahms, as well as Clara and Robert Schumann, Emanuel Ax and a Finale with David Zinman. The finale is set for downtown San Diego’s Balboa Theatre. So classical and chamber music lovers still have a chance to sample numerous spectacular presentations. Scheduled on the evening of Aug. 18, is “A Night of Jazz with John Pizzarelli Trio.” Some who knew Pizzarelli from his work in New York City’s music scene will joyfully have a chance again in La Jolla. That event, at 8 p.m., will include a 7 p.m. conversation with with Pizzarelli by local jazz radio host Claudia Russell. Readers can view the complete SummerFest schedule online. Barry Jagoda, an award-winning broadcast journalist, was special assistant to President Carter for media and public affairs. He lives in La Jolla.